Somerset Reservoir is a large body of water in southern Vermont, and a favorite for outdoor enthusiasts such as boaters and fishermen (women too!) Its relatively high elevation makes the water almost always cold, and the leaves start to change color here as early as mid-September, peaking around the first of October. 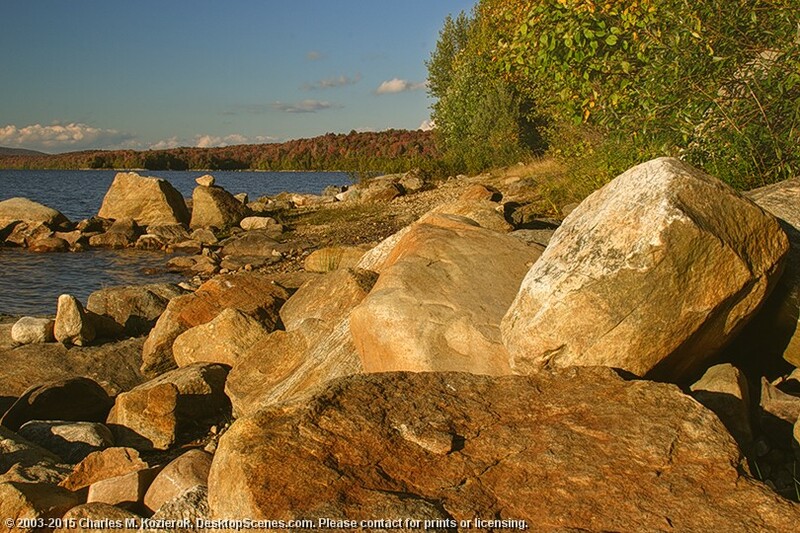 The reservoir is lined with many colorful boulders, here enhanced by the late day sun.